Everybody at Butler Parachute Systems contributes a tremendous amount of hard work and energy to produce the products we provide. While we can’t list everybody on this page, the following people are most likely going to be the person you will talk to when you contact Butler Parachute Systems. Manley C. Butler, Jr. serves as the President and the Chairman of the Board. He has a B.S. 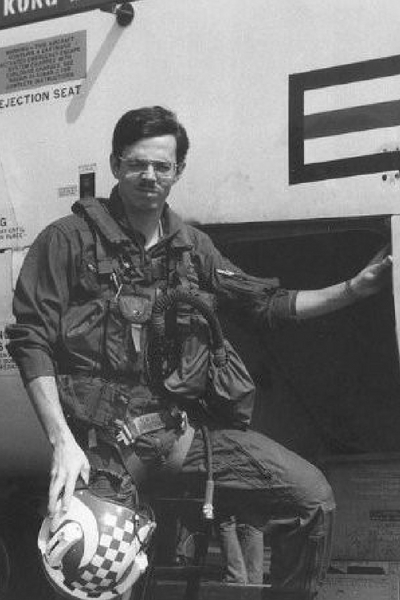 Degree in Aerospace Engineering from the University of Texas at Austin, where in 1976 he began to work in parachute systems use, design, testing and manufacturing; he served for three years as a combat aircrewman in the US Navy on the S3A Viking; and holds an FAA Master Parachute Rigger license with all ratings. He also worked for four years as a Project Engineer/Program Manager in the Recovery Systems Design Branch at the Naval Weapons Center at China Lake, California, and worked for one year as Director of Engineering at ParaFlite, Inc. in Pennsauken, New Jersey. 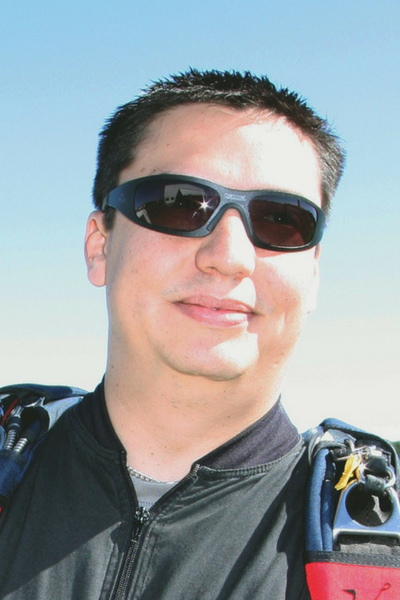 He is a licensed private pilot and an experienced parachutist with over 1,200 jumps. Roberto Montañez is the General Manager and Vice-President of Operations. He is in charge of the day to day operations of the company. Roberto has a B.S. in Aerospace Engineering from Parks College of Saint Louis University. Roberto has worked in the parachute industry since 1995. He has experience in the design and integration of parachute and electronic control systems, testing and instrumentation, and computer modeling and simulations. He is a skydiver and holds a private pilot license. Roberto serves as President of the Parachute Industry Association and is a trustee of the International Skydiving Museum and Hall of Fame. 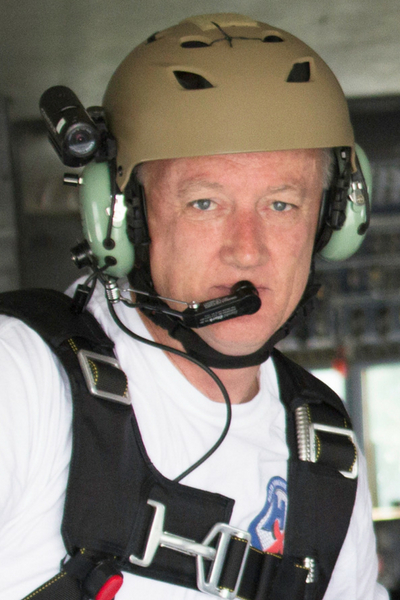 Tom Fowler is the Technical Support and Sales Manager for Butler personnel parachutes. He also manages the custom designs in the harness/container department. Tom has a B.S. degree in English from Radford University. He has worked in the parachute industry since 1982. 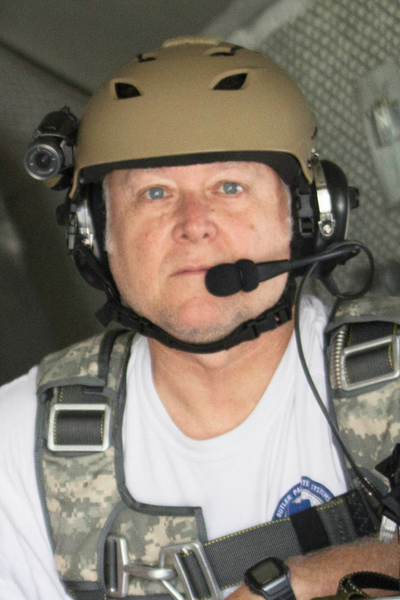 Tom has experience in every aspect of the parachute industry including research, development, and testing of emergency bailout systems for pilots. He is an FAA Master Parachute Rigger with all ratings and has serviced and packed over 8,000 emergency systems. Tom has 3,800 parachute jumps including 748 test jumps. Thirty-seven of these live tests were jumps on round canopies designed for pilot emergency bailout systems. Tim McCord is the Rigging Department Manager and Harness/Container Department Supervisor. He is a twenty-one-year retired Army Veteran and is rated as a Master Parachutist, Military Freefall Parachutist, and Army Parachute Rigger. Tim holds an A.A. in CADD and Business Management. He has worked in the parachute industry since 1976 and is an FAA Master Parachute Rigger with all ratings. Tim has packed and serviced well over 10,000 military and civilian parachute systems and has worked in parachute research, development, test jumping, and as a Pilot/Seminar Speaker for the flying and maintenance of Powered Parachute wings. Tim has over 2,300 parachute jumps and held a Tandem Master Certification along with several USPA certifications.